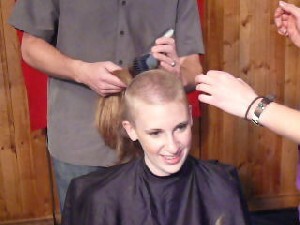 I am so excited to shave my head! 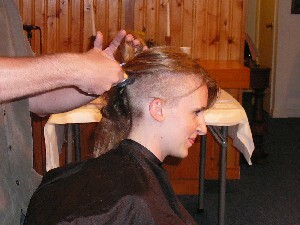 When I heard about Kate Perkin's and why she did it, I always admired her but never thought that I could do it myself. However, the more I thought about it, the more I realized that there was no reason why I shouldn't do it. It is a great way to give what I have to someone who needs it more than I do, as well as support anyone out there who is suffering because of cancer and chemotherapy. I can't wait!! 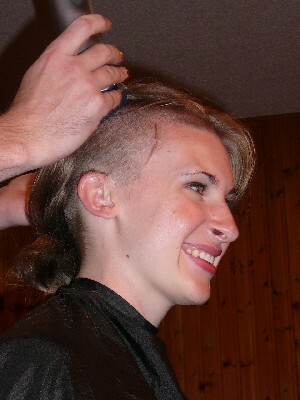 Katie's friend helped shave her head. 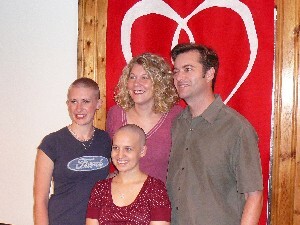 Katie with Jeffrey, Molly, and Kate who re-shaved her head. 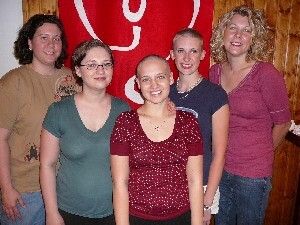 Hope Givers: Jade, Candi, Kate, Katie and Molly. Here is a video from Katie's event.